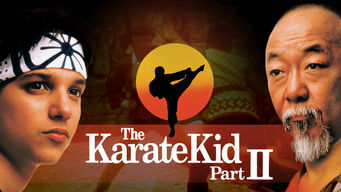 How to watch The Karate Kid Part II (1986) on Netflix Germany! Yes, The Karate Kid Part II is now available on German Netflix. It arrived for online streaming on April 1, 2018. We'll keep checking Netflix Germany for The Karate Kid Part II, and this page will be updated with any changes. Karate champ Daniel LaRusso and Mr. Miyagi travel to Okinawa, where Miyagi visits his dying father and rekindles his feelings for a former flame. This time, karate's favorite underdog isn't just fighting for a championship ... he's fighting for his life.